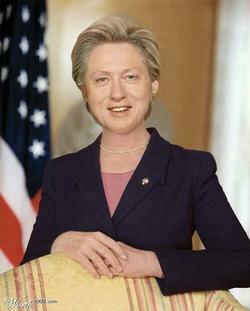 Blog For Freedom: Hillary Clinton or Bill Clinton - Who's Worse? This picture would be funny if it wasn't so true. Sadly, the transformation has begun. If she wins she will destroy this country. That pic is creepy and totally believable in a Dorian Gray sort of way.